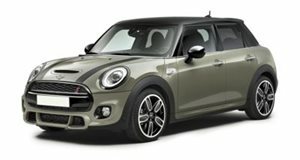 Nowack has rolled out a new line of tuning packages for the Mini Cooper S. These are primarily focused on engine modifications, but wheel, suspension, multimedia and cosmetic upgrades are also available. The packages are rated at either 210hp, 230hp or the range-topping 260hp. The first two packages, called N210 and N230, are done using simple intake, exhaust and ECU upgrades. For the N260, things are a bit more involved. The engine gets a whole new cylinder head, complete with sport camshaft, as well as the modifications done for the other packages. The N260 package also gets a new set of 18-inch wheels, and Nowack points out that the power might be a bit much for the stock suspension setup, so there is an available coilover kit. The car they&apos;ve outfitted with this kit has also been given a matte green finish, which we think looks excellent on any British car, even the German ones.